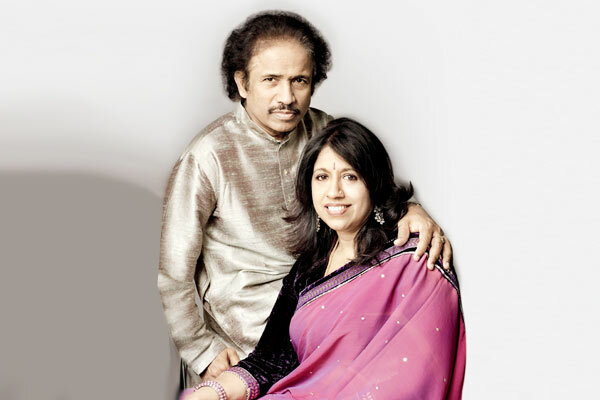 MUMBAI: The Indian classical pair, L. Subramaniam and Kavita Krishnamurthy have been together for 16 years now and we must say this pair gives us some strong relationship goals. The love between the two is unconditional. Speaking to Radioandmusic.com at Amaravati Global Music and Dance Festival, Krishnamurthy recalled her first Valentine’s Day with her husband. Dr. Subhramaniam always keeps surprising the melodious singer and amongst all one of the best surprises she had was on her first Valentine’s Day. On 13 February that year was Filmfare awards eve and Krishnamurthy’s song ‘Nimbuda Nimbuda’ was nominated but she couldn’t win the award. Disheartened she got back home, told her husband about it. Being Valentine’s Day the next morning he asked her to take a drive with him. It later turned out to be the most memorable drive for the singer. The ‘Dola Re Dola’ singer gives all the credit to her husband for all she is today and for all the opportunities that she has got in music. “I have got so much support from him for my music. I have had the chance to perform with Symphony Orchestra and George Duke and much more. These things wouldn’t have happened to me, if I was only stuck with Bollywood. The process of learning music, remaining a student never stopped for me because of him,” she ended. MUMBAI: Ace musician Pandit Jasraj, who celebrated his 89th birth anniversary recently, swayed everyone with his enchanting voice at Golden Voice Golden Years: Pandit Jasraj. MUMBAI: Rock band Red Hot Chili Peppers performed for 10,000 fans in the shadow of the Pyramid of Giza in Egypt. The band performed on Friday night, reports aceshowbiz.com. MUMBAI: History of Indian film music would be incomplete without the mention of Rahul Dev Burman. The maverick genius revolutionised the music formats in Indian music, died at a young age of 54. MUMBAI: One of the most happening songs Aankh Marey has been ruling the charts recently. The song, which starrers Sara Ali Khan and Ranveer Singh from the movie Simba is currently trends at number two on YouTube charts.